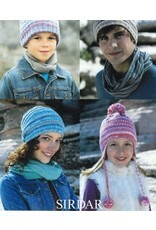 4 styles of Hats in 5 sizes. 4-6, 7-9 and 10-12 years and Women and Men. 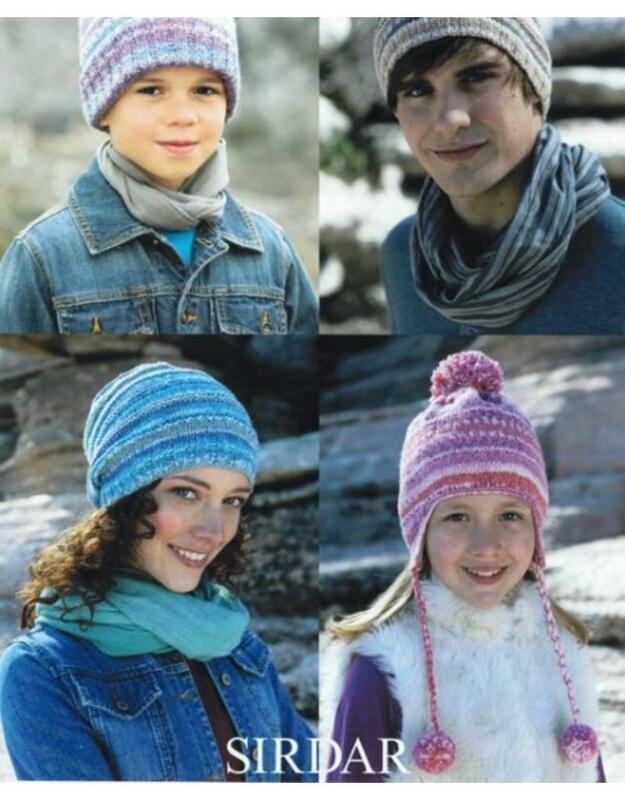 Sample knit using Sirdar Crofter DK which is a great self patterning yarn.